This is the Lamborghini Asterion. Yes, it is a plug-in hybrid and in terms of design quite different from the previous bulls viz. Egoista, Sesto Elemento and Veneno from Lamborghini. We are thankful to the European Union, for their emission regulations are the only reason Lamborghini built this stunning car as a hybrid. The EU is going to introduce new laws in 2021 which every car maker has to abide by. This concept might make it into production during the same time. Hence a hybrid. Need some to help to translate that! The Asterion is a mid-engined two-seater coupé and uses an adapted Aventador carbon fiber monocoque, mostly in the lower section. It has a different roof structure and has a stretched wheelbase to create more interior space. The concept car is 4.7m long with Huracan’s stunning 607 bhp 5.2-litre V10 hooked up with a dual-clutch seven-speed rear transaxle auto box. So it is technically a parallel hybrid as the transaxle that incorporates a starter motor and generator, has an electric motor bolted on it. There are two more electric motors on the front axle and between them, they generate 220 kW, which is equal to around 300 bhp. And where are the batteries? They’re in the central tunnel in place of the propeller shaft. This placement would benefit both safety and the car’s center of gravity. It surely will better than a Prius. It can do 0-100 kmph / 0-62 mph in just over three seconds while emitting 98 g/km of carbon dioxide. 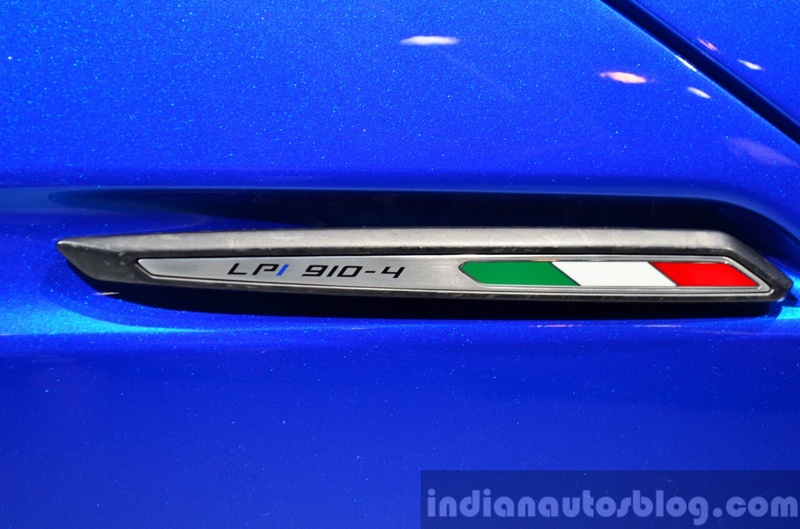 Thus the Asterion has a LPI-910-4 badge. It’s still an awesome looking concept. Lets see how it turns out when it reaches production. What do you think about this new concept? Will it or won’t it? ?